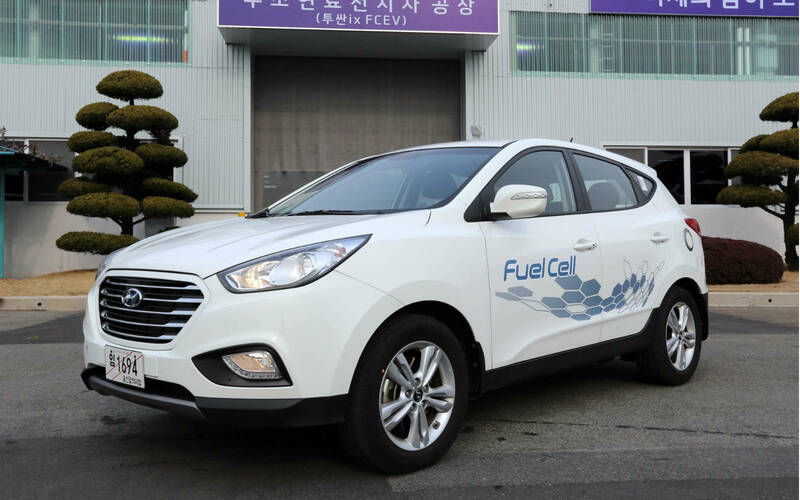 Hyundai Started Production of the First Fuel Cell Vehicles with "0" Emissions in the World! - Muscle Cars Zone! Feb.26, 2013 – As the world`s first automaker, Hyundai began assembly line production of zero emission, vehicles with hydrogen power for fleet use. Hyundai ix35 Fuel Cell vehicle rolled out off assembly line at the company`s biggest manufacturing plant in Ulsan, South Korea. This SUV from c-segment with commercial name ix35 FCEV, based on popular Hyundai ix35 (Tucson in some markets) was launched on a special event that was attended by Hyundai top management and VIPs. Hyundai is the leader in the future of zero emission vehicles, also that daily utilization of ecological vehicles with zero emission is no longer a dream, but reality. The new ix35 Fuel Cell was presented at the ceremony for fleet customers in City of Copenhagen, Denmark and Skåne, Sweden. The City of Copenhagen, has an initiative to be carbon-free city until 2025. Therefore, Hyundai supplied fifteen ix35 Fuel Cell vehicles for fleet use, according to announced agreement in September 2012. Another two ix35 FCEV are supplied to City of Skåne in Sweden. Hyundai has a plan to produce 1.000 ix35 FCEV vehicles until 2015 that should be offered to public and private fleets. This project is oriented to European continent, where EU has established road map and started the construction of hydrogen fuel stations. 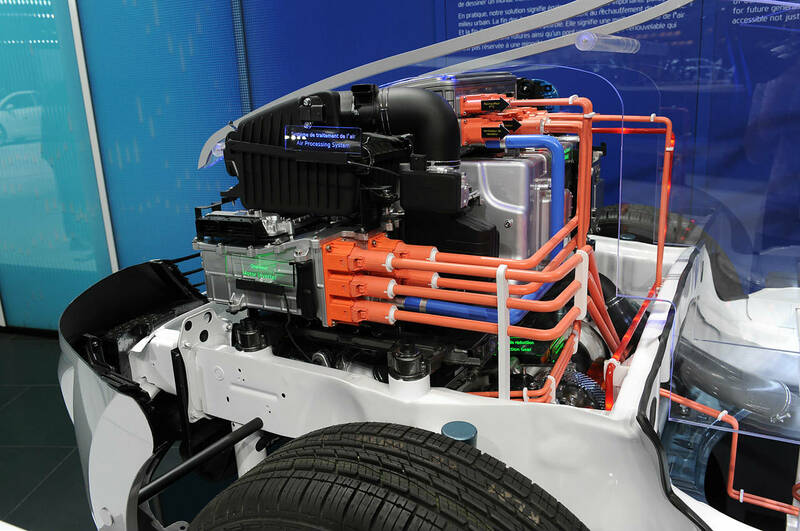 In order to prepare the market for mass production of hydrogen fuel cell vehicles, leading automakers would like to supply hydrogen fuel cell vehicles and establish refueling stations together with the countries that has the biggest initiative. Hyundai will begin producing hydrogen fuel cell vehicles for consumer retail sales after 2015, with lowered production costs of the vehicles and developed hydrogen infrastructure. 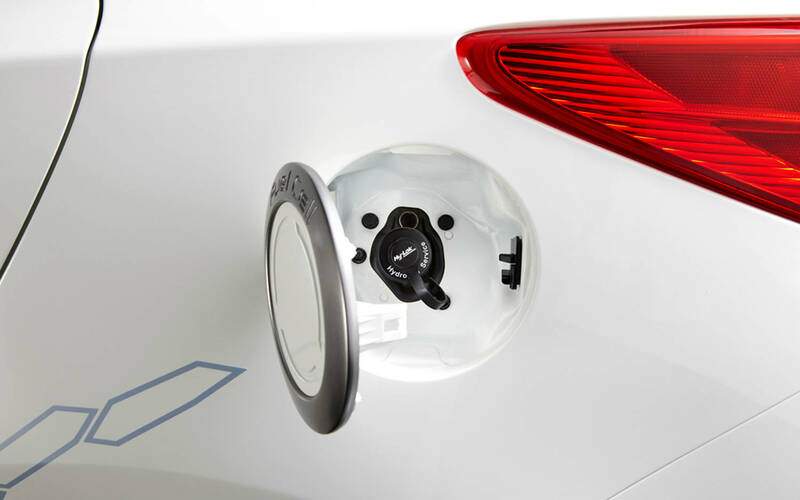 Hyundai`s ix35 Fuel Cell is power is produced by hydrogen with the system with fuel cell stack that converts the hydrogen to electricity and as a result the motor of the vehicle turns. This FCEV vehicle boasts performance similar to regular petrol or diesel ix35 and the only emission from the exhaust system is water. Hyundai also developed marketability of ix35 FCEV with applying the new front radiator grille, new front and rear bumpers and front fog lamps, as well as super vision cluster and specially integrated GPS with 7 inches. At the Motor Show in Bruxelles this January, the ix35 FCEV won the prestigious “Futur Auto” award. The ix35 Fuel Cell is the crown in the company of Hyundai`s Blue Drive cleanest vehicles: Sonata Hybrid version, i20 Blue-Drive & Blue-On and Battery-powered i10. All the regulations by the governments to reduce vehicle output of carbon as well as fossil fuel dependency, the solutions like Hyundai`s ix35 Fuel Cell with zero emission will be a driving force of change. This vehicle aligns with the 2009 agreement by the G8 countries from the EU in order to reduce emissions of carbon by 80% until 2050, also with the Zero-Emission regulations for the vehicles from California. As can be seen in the table below this Fuel Cell vehicle accelerates from 0-100 km per hour in 12.5 seconds, its top speed is of 160 km/hr and can pass 594 kilometers with a single charge. Maybe the most important is that can be refueled with hydrogen in only a few minutes. On this project Hyundai Motor Company had spend 14 years and several hundred million Euros and used the world best engineers at fuel cell Research and Development center of Hyundai in Mabuk, Korea. Two million miles of different road tests in Europe, Korea and United States was passed during the testing period. At this year`s Motor Show in Geneva, ix35 Fuel Cell was displayed for the first time. Read my next article Hyundai Starts The Collaboration With Top Designer Karim Rashid!